I’ve only had a skincare routine for about a year and a half. I used to just wash with a foaming cleanser, and maybe moisturize if I felt like it. Since I developed a better skincare routine, I kid you not, my skin has been the best it has been since before puberty. My routine relies heavily on Korean and Japanese products. I find that Asian products tend to have good ingredients for very reasonable prices, so having an extensive routine is more affordable. Of course, there are great Western products available too, some of which I’ve incorporated into my routine as well. I have combination-dry skin, but for years I thought my skin was oily, when it was really trying to overcompensate for the dryness. I’ve always had a bit of adult acne — my face was never totally clear. I would blast my face with harsh, drying products, and they never helped (If you’re interested in learning about my worst beauty mistakes, check out an article I wrote about it: 7 Beauty Mistakes That May Be Ruining Your Skin). A little over a year ago, I started using some Korean beauty products, and a whole new hobby was born. I honestly haven’t had a breakout since I started incorporating Asian beauty products and learning about the science of skincare, and my skin is so much clearer, smoother, and just…glowy. The current cast of characters (sleeping masks not pictured). The most important parts of my routine, for me, are intense hydration. I learned that my dry skin was actually breaking out more because my moisture barrier was compromised and my skin couldn’t heal itself. Once I started really putting moisture back into my skin through light watery serums, and sealing it in with a cream, my skin started to revitalize itself. I only wish I’d learned this sooner! This is my routine every evening. My day routine is significantly shorter. In-depth reviews will be coming soon! I learned from an aesthetician that most regular cleansers can’t properly remove makeup, and that leftover makeup would clog my pores. Once I started using an oil cleanser (or sometimes, micellar water) to remove my makeup, my skin texture smoothed out almost overnight. The Softymo oil doesn’t irritate my skin and it is very affordable, which is great because I also use it to remove makeup from my hands. This is a very gentle creamy foaming cleanser, at an ideal pH of about 5.5, the same acidity level as facial skin. It gently removes any impurities left over from my oil cleanser without drying my face out, and without damaging my skin barrier. This moisturizing toner (or “lotion”) is one of the most important steps in my routine. It instantly infuses my skin with hydration, though I do have to apply the next step quickly before the lotion evaporates. 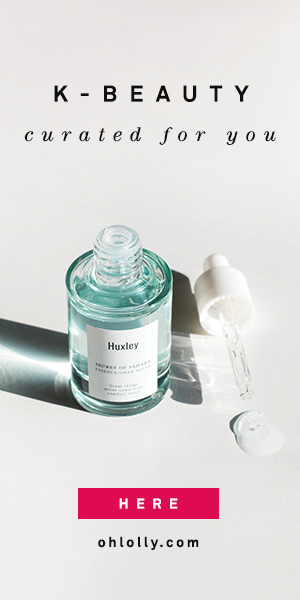 This is a hydrating serum that contains Magnesium Ascorbyl Phosphate, a stable form of Vitamin C, as well as Niacinamide, one of the proven beauty aids that science says really work. It’s not particularly moisturizing, but I think it does help keep my skin calm and clear. I’m just trying to use up the rest of my bottle. Honestly, I was a bit underwhelmed at the Innisfree Green Tea Seed Serum. It adds an extra layer of hydration, but other than that, I don’t feel that it does that much, plus the fragrance is a little strong for me. It works well as a supporting player in my routine though. Although this is called an “essence”, I find it quite thick, so I use it later in my routine after my thin serums. At this point, my skin is already pretty saturated so I sometimes mix a drop of the propolis essence in with my emulsion, which helps it absorb better. It gives my skin an extra glow (plus, that bottle!). Sometimes when I remove my makeup earlier in the day, but don’t have time to do a full routine, I just use the propolis essence on its own as it’s quite moisturizing, until I have time to do a full cleanse-routine later. I bought this because I was looking to fill the emulsion spot in my routine, and Target had $10 off a $40 beauty purchase. It does contain niacinamide, a proven brightening ingredient, though I use other brightening actives so I’m not sure if the melanin-fading properties of this emulsion are really that effective. It is nicely moisturizing though, which is what I was looking for. This eye cream is soothing, nicely moisturizing, and most importantly, doesn’t irritate my sensitive, weepy, eyes. Also, it’s dirt-cheap! I started using Innisfree’s orchid cream a couple of weeks ago. It is quite rich, but surprisingly doesn’t feel heavy or greasy. It’s a perfect last layer before my sleeping mask. I use this overnight mask 4-5 times a week. It creates a wonderful refreshing cooling sensation and has a very subtle but pleasant scent that reminds me of clean laundry. I find that it soothes and calms my skin, and makes my face look brighter in the morning. While this mask has a little too much fragrance for me, I do find that it really keeps my face moisturized and soft throughout the night, on days when my skin feels particularly dry. I probably won’t repurchase it because of the strong fragrance, and will probably get the Laneige Water Sleeping Mask instead. Whew! I think that’s enough for one post. I do also use other supporting products on occasion, like sheet masks and an acidic form of Vitamin C, but this is my basic foundational routine that I stick to every night. I’m also testing some IOPE products to incorporate in to my routine later, but more on that another time. First off, I just found your blog and I LOVE it. Thank-you for your time in putting great info out there! I’m 33 and about to start a skin-care regimen, beginning with the Saranghae 5-step system. In your opinion, besides adding in a moisturizing toner to the routine, is there anything else you would add? Particularly, what cleanser would you add to make this a double-cleansing routine? Thanks so much! I also already saw where you recommended to add a sunscreen, and I’ll be trying the 3W Clinic variety you posted about, thanks! Hi Sandra! I’m so glad you found the info useful! The Saranghae cleanser is an oil based cleanser which makes it very powerful for removing makeup. You could add a gentle foaming cleanser as a second cleansing step in the evenings, and use just the foam cleanser in the mornings. I highly recommend the Hada Labo Tokyo Hydrating Cleanser (you can find it on Amazon) which is super gentle. Hi. I have non stop acne in my forehead which I believe due to hormonal imbalance. What routine can you suggest?